Mon., April 15, 2019 10:00 a.m. | Monday, April 15, 2019 10:00 a.m.
ASecureLife.com, a company that reviews home security systems, stun guns and tasers, among other services, said it set researchers loose to find out the answer to the age-old question the National Enquirer once used to promote tales of alien invasions and political peccadilloes. 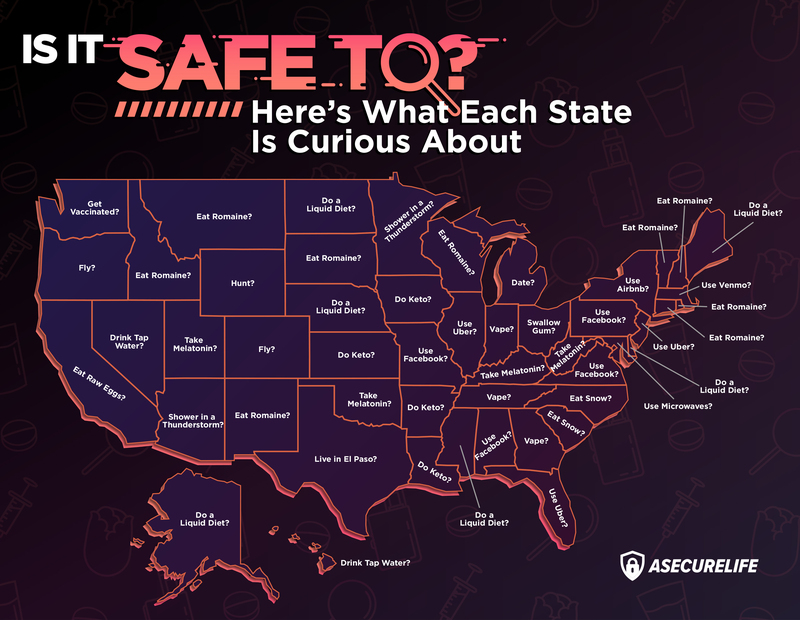 The company’s team used Google to find out the most commonly Googled “Is it safe?” question asked in each state. A snapshot of their finding reflects wild variations from one state to the next. Sorting out answers could take a lifetime. When we Googled that question Monday morning, Google came back with 1.7 billion answers in less than half a second. No word on how many Buckeyes actually asked that question. New Yorkers, on the other hand, wanted to know about the safety of Airbnb, the online service that lists rooms or homes for overnight stays worldwide. Go south to West Virginia and the question of the day was about the safety of melatonin, the supplement famed for helping insomniacs get a little shuteye.